Meat-and-Potatoes-Guy is a fan too. 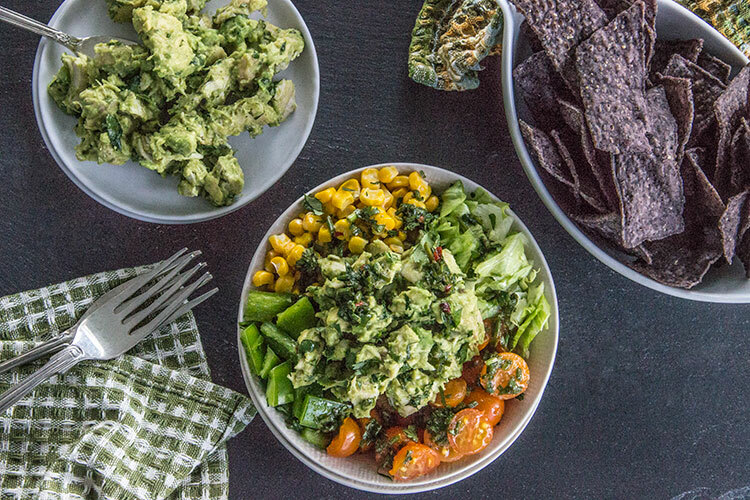 It’s pretty safe to say we’re addicted to guacamole with chips as a snack or an appetizer. It’s so richly flavored (and so easy to make), I’m often thinking of ways homemade guacamole could really enliven classic dishes with those bright, creamy, fresh flavors of avocado, lime, and cilantro. 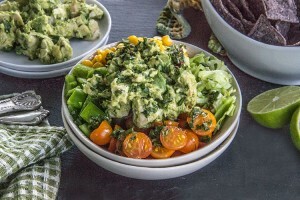 So recently I started thinking it would probably taste delicious mixed together with chopped chicken and added to a Southwest-flavored salad, completely transforming the classic mayo-filled chicken salad. The creamy, richly flavored guacamole is a perfect complement to grilled chicken. And it adds so much flavor to a chopped salad, transforming plain old veggies into something really fresh and unique. 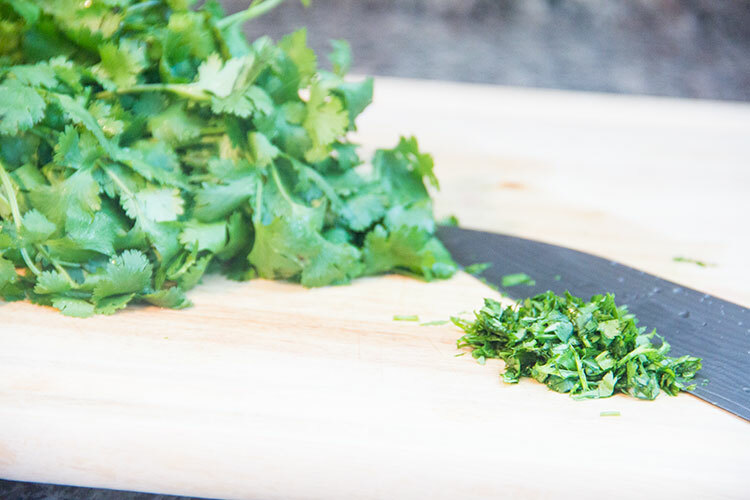 I top everything off with a couple of tortilla chips (for crunch) and an easy homemade chimichurri dressing (a flavorful herb vinaigrette, with cilantro, chives, and seasonings). It’s bursting with creamy, rich, fresh, crisp, and bright flavors. It’s a complete, satisfying meal in one bowl. And it’s packed with healthy antioxidants and nutrition too! Season the chicken breasts with salt and pepper and cook for about 6 minutes. Flip the chicken and cook the second side for about 6 minutes more, or until chicken is cooked through. Allow chicken to rest for 5 minutes. Roughly chop the chicken into bite-sized pieces. 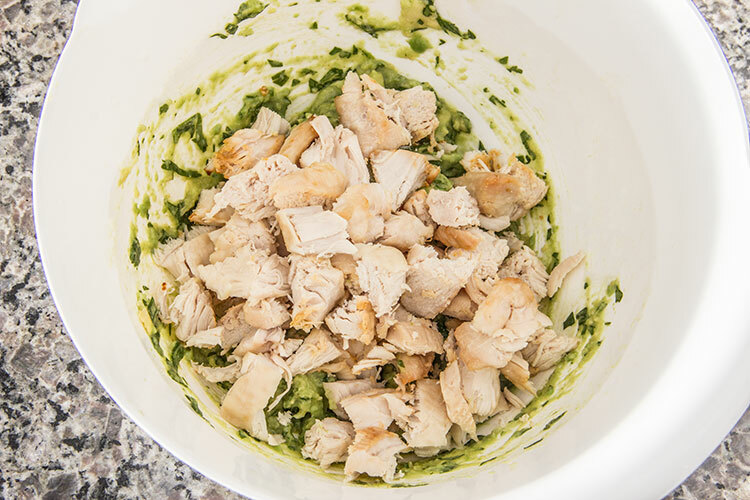 Place the diced avocado and half of the freshly squeezed lime juice into a large mixing bowl. Use a fork to mash the avocado until it reaches a creamy consistency. 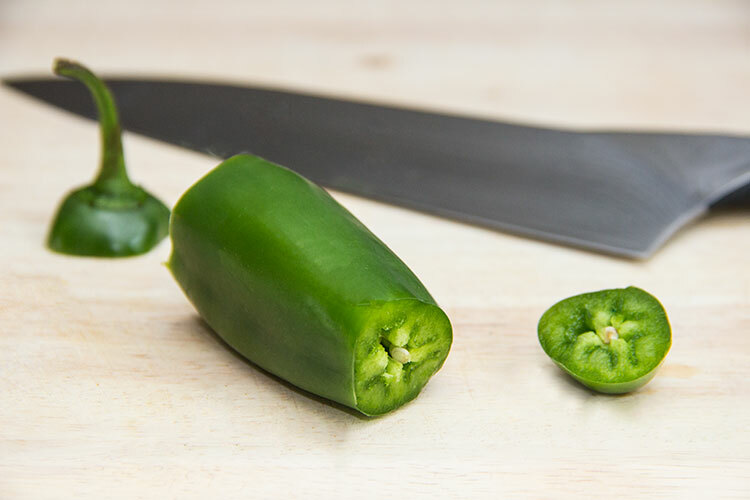 Add the jalapeño, 1 tablespoon cilantro, ¼ teaspoon garlic powder, and ¼ teaspoon cumin. Season well with salt. Stir to combine. Mix in the cubed chicken. Next prepare the Chimichurri Dressing. 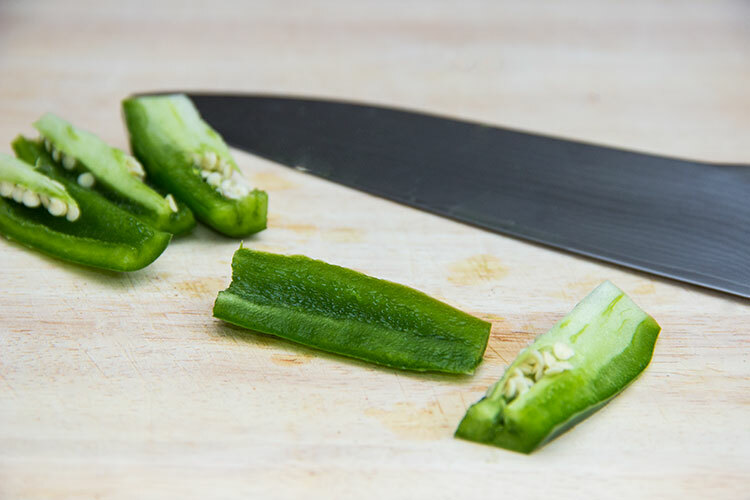 Add the oil, vinegar, remaining lime juice, chives, 1½ tablespoons cilantro, ¼ teaspoon cumin, ¼ teaspoon garlic powder, and crushed red pepper flakes to a mixing bowl. Season with salt, and whisk until well combined. Assemble salads by arranging lettuce on serving plates. Add tomatoes, bell pepper, and corn. Drizzle the Chimichurri Dressing over the salads. Add heaping spoonfuls of the guacamole chicken, and top each salad with a few crushed tortilla chips. Serve. Start with these key ingredients. 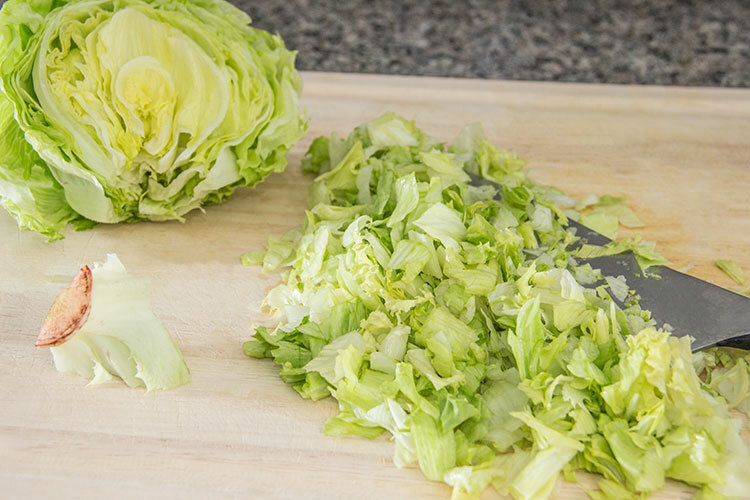 Then grab a head of lettuce and peel off and discard the first couple of outer layers. Chop it in half and cut out the core. Then roughly chop up the lettuce. Also roughly chop any other veggies you’d like to add to the salad. I used cherry tomatoes, a bell pepper, and some organic frozen sweet corn that I thawed. …and then cut it into quarters. Then finely dice up the pepper. For a mild guacamole, use just one quarter of the pepper. Next, squeeze all of the juice from a few limes. 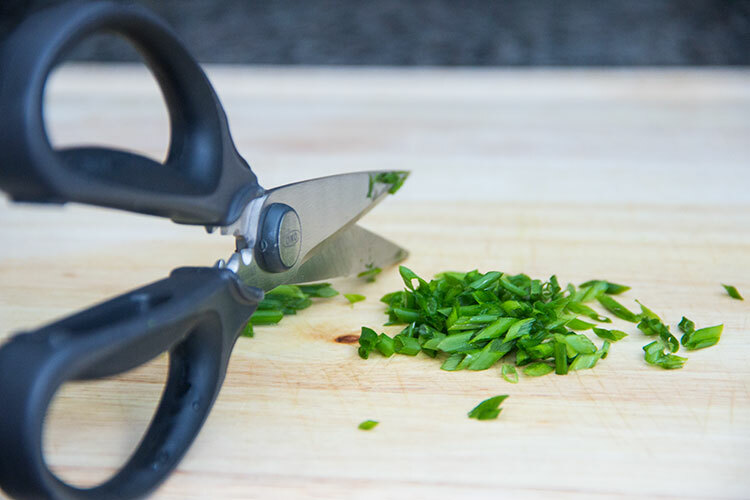 And also chop up some fresh chives. Cut it in half lengthwise. You’ll feel a large pit in the center, just cut around it. Twist the two sides you’ve cut in opposite directions to pull apart the two halves. Then use a spoon to scoop out the pit. 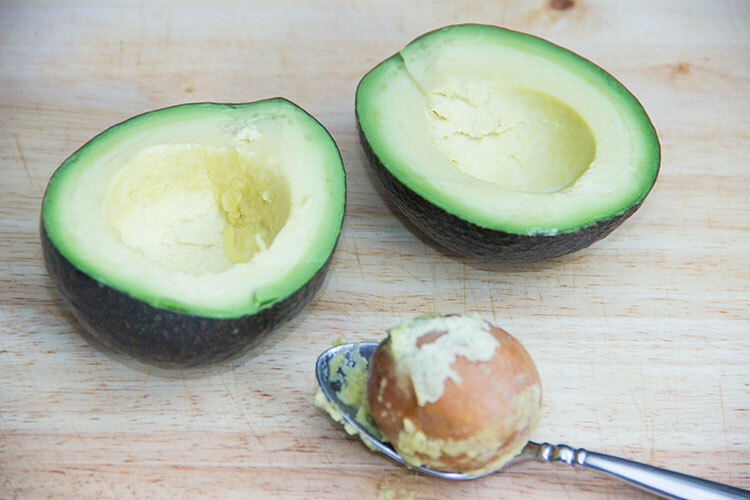 Then use the spoon to scoop the avocado from the skin. And roughly chop it up. 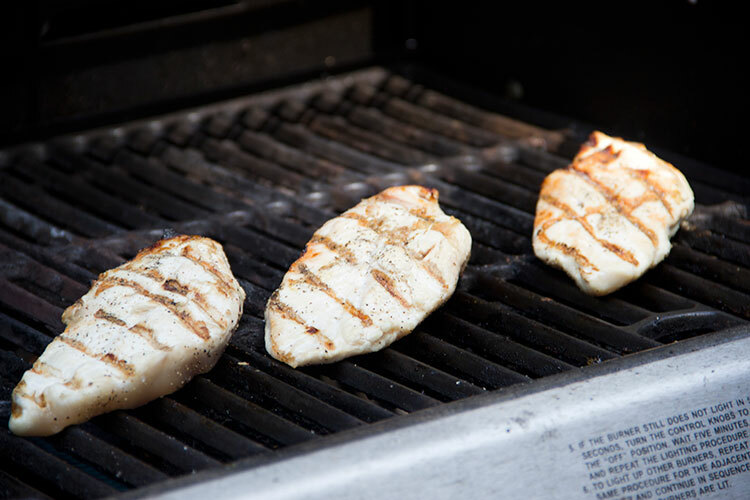 Next, cook up some skinless, boneless chicken breasts, either by roasting them in the oven or grilling them. 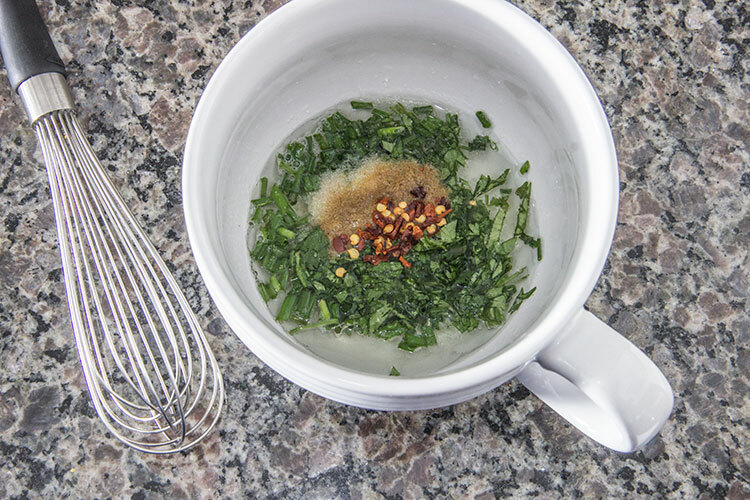 While the chicken is cooking away, prepare the Chimichurri Dressing. 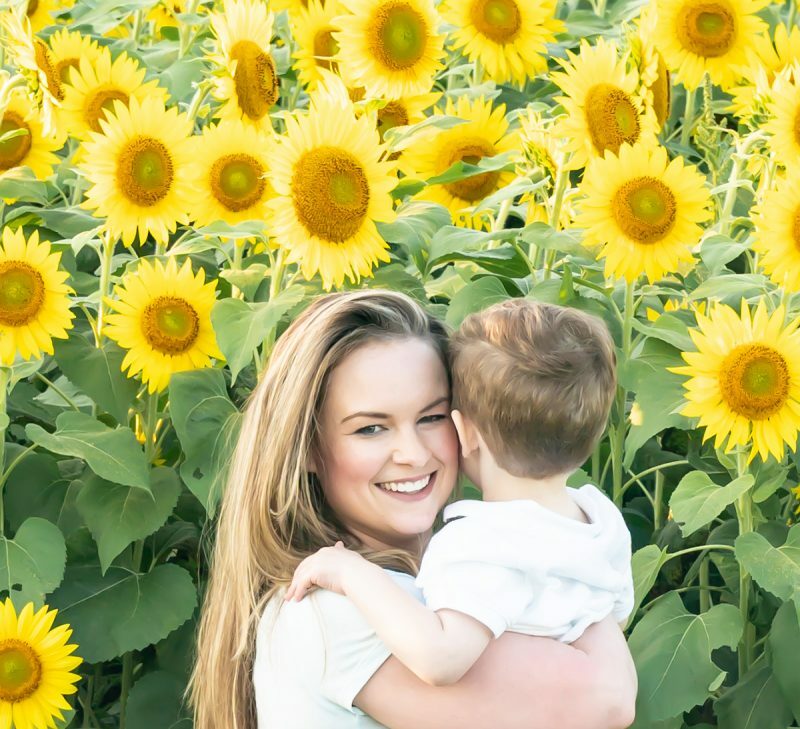 Grab a mixing bowl and add some sunflower oil (or substitute organic canola oil or extra virgin olive oil), some white wine vinegar, and some of the freshly squeezed lime juice (set aside the rest for the guacamole). 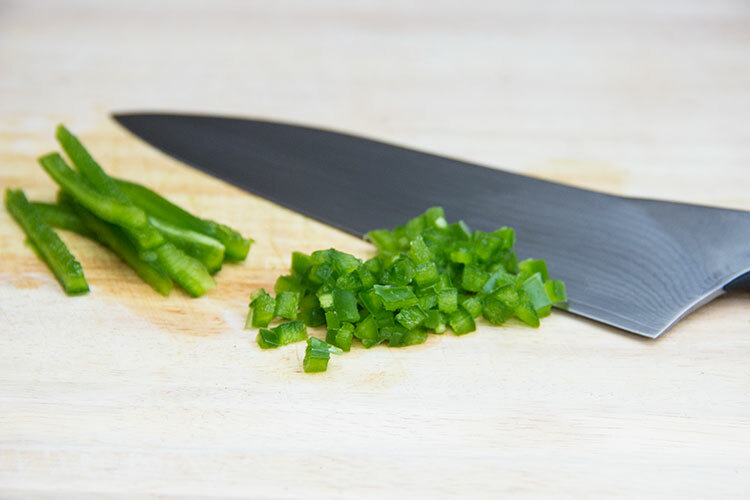 Also toss in the chopped chives, some of the chopped cilantro (save the rest for the guacamole), and a pinch of garlic powder, cumin, and crushed red pepper flakes. 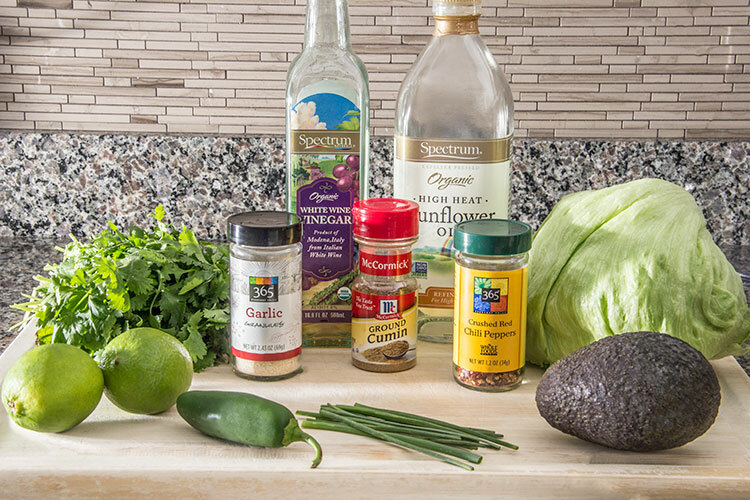 Season the dressing with salt, and whisk until everything is well combined. 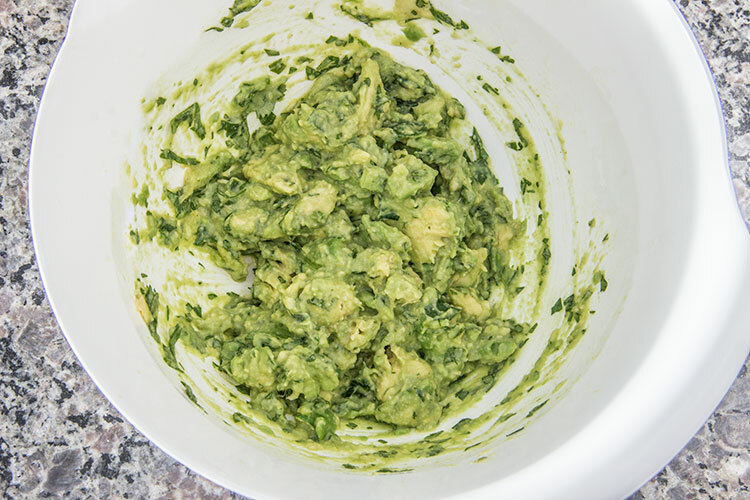 Place the diced avocado and all of the remaining lime juice into a large mixing bowl. Use a fork to mash the avocado until it reaches a creamy consistency. Then add the jalapeño, the remaining chopped cilantro, and a bit of garlic powder and cumin. Season the guacamole with salt, and stir until everything is well combined. When the chicken is cooked, roughly chop it up. Then toss it into the bowl containing the guacamole and stir until everything is well combined. Last step: assemble the salads by arranging the chopped lettuce in serving bowls. Add the tomatoes, bell pepper, and corn, and then drizzle the Chimichurri Dressing all over the salads. 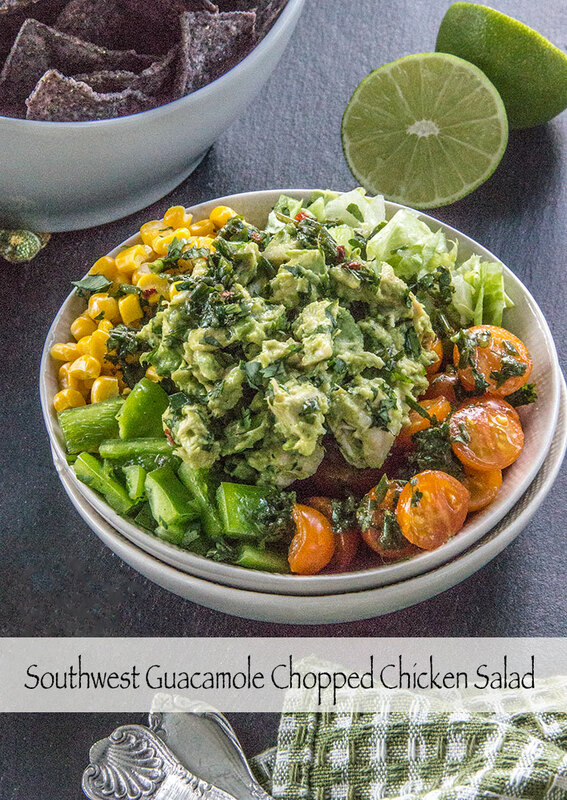 Add a couple of scoops of guacamole chicken, and then top off each salad with a few crushed tortilla chips. 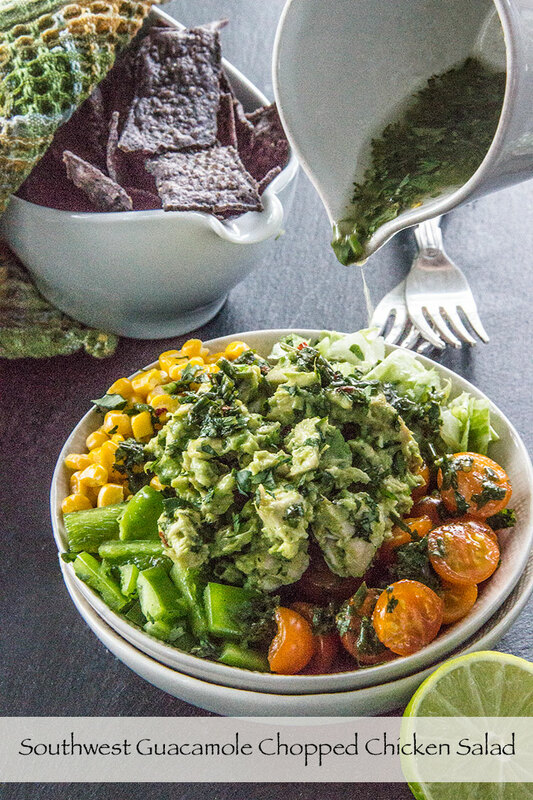 The fresh guacamole adds so much rich, creamy flavor to the chopped chicken (complemented with a tasty crunch from the tortilla chips). And the fresh herbs and spices in the Chimichurri Dressing make the salad interesting and unique. It’s a bright, fresh, crisp dish filled with zesty, satisfying, Southwestern flavors! OMG this is literally my idea of heaven in a bowl!